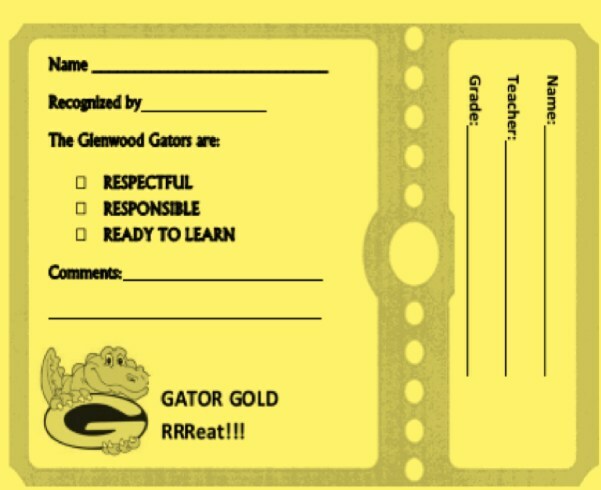 When a staff member sees a student doing a great job demonstrating the 3 R's, they are given a Gator Gold. Students turn in part of the Gator Gold ticket into the office for a chance at prizes and special recognition. Keep an eye out for these yellow Gator Gold stubs from your child. Ask them about how they earned it and other ways they show the 3 R's at school! For more information on student expectations, please see the attached files.